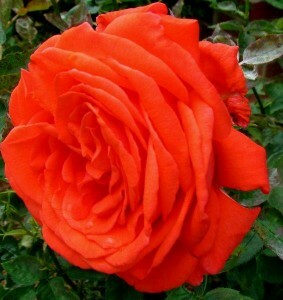 Make sure you read all the way to the Rose at the bottom of the page, to ensure you see it all. 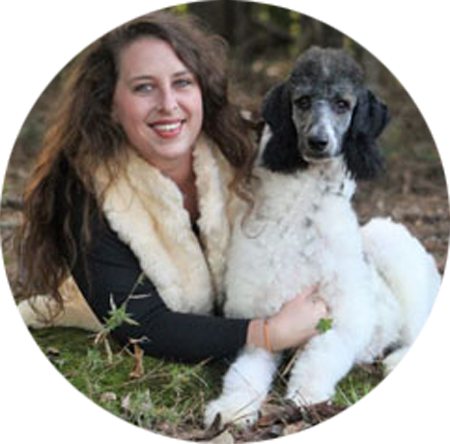 Over our many years of breeding, we have probably been asked one question more than any other before a puppy goes to its new forever home, “What do I need before I bring my puppy home?” We have put together packages that include everything needed for an easy and convenient transition for your Standard Poodle puppy and you. We call them our PUPPY SUPPLY PACKAGES. Each package price and its contents are listed below. There are pictures, descriptions, sizes or dimensions of each item. 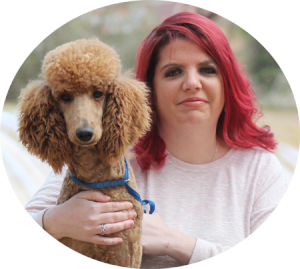 Everyone of these items have been used at Family Affair Standard Poodles and we can recommend every one with confidence for its practicality, safety and ease of use. 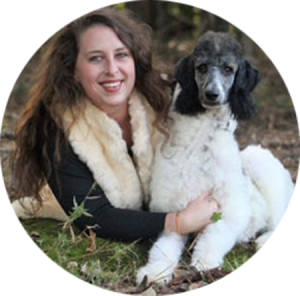 All customers must order and pay in full for their PUPPY SUPPLY PACKAGE by the time your Standard Poodle puppy is 6 weeks old. 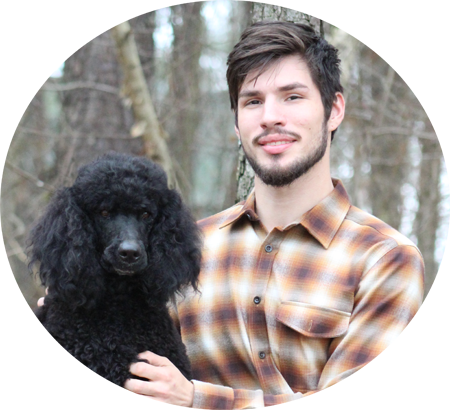 We have limited room for inventory, so we want to be sure we have your package in stock and ready when you arrive to pick up your puppy. 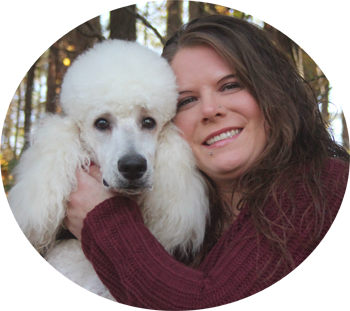 For those customers who are having your puppy shipped, we will ship your PUPPY SUPPLY PACKAGE one week before your puppy is due to arrive. 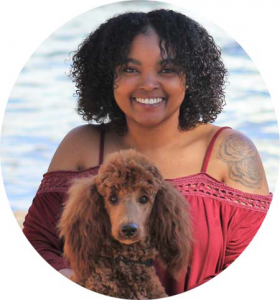 When the PUPPY SUPPLY PACKAGE ORDER FORM is submitted you will be contacted to confirm final cost with any tax, shipping and processing fees added. 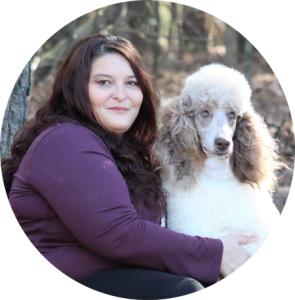 You may make payment in full for your PUPPY SUPPLY PACKAGE via PayPal. To pay via PayPal use the email address wendy@familyaffairstandards.com as to where you want the payment to go. You may make payment in full for your PUPPY SUPPLY PACKAGE by Cash via Western Union. or call 252-478-4356 with questions concerning your order. 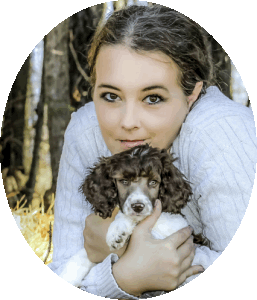 Click here to order your puppy supplies package(s). 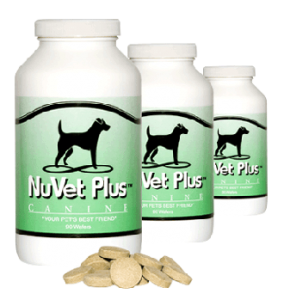 Visit NuVet.com to place your order! WATER DISH 16 OZ. & FOOD DISH 16 OZ: This bowls have low sides for puppies. They have non slip and tip design. The design on the bowls is a pattern of bones and paws. SLICKER BRUSH MEDIUM SIZE: This brush is used to separate the hair and make it easier to comb thru and fluff up. 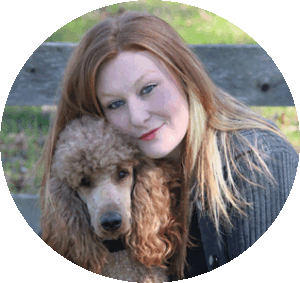 The dual level pins remove loose hair effectively for better results. 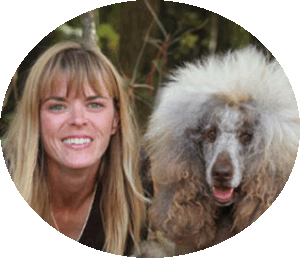 THE SAFARI DEMATTING COMB by Coastal: Will help remove mats and tangles from your pet’s coat. The stainless steel, serrated blades will comb out most tangles. 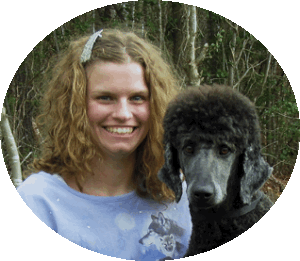 The Dematting Comb can be used on most medium to long-haired pets. 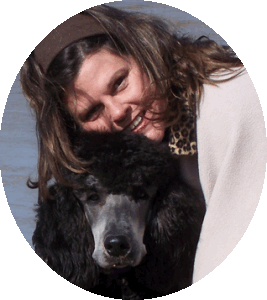 It is especially helpful on coarse or long, matted coats. Can be used right or left handed. 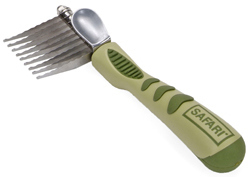 THE SAFARI MEDIUM/COARSE GREYHOUND STYLE COMB by Coastal: Wide and narrow spacing of teeth provide complete grooming. 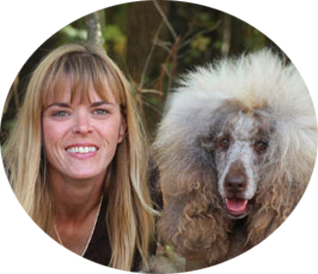 The extra-long teeth penetrate to the root of the hair. This comb will give you excellent grooming results. WATERLESS SHAMPOO 16 OZ: This shampoo is great for touch ups like dirty feet or face. It is great for cleaning a hot spot or sores without going thru the entire wet wash and dry process. It is formulated with only the finest botanical, aroma-therapeutic, and natural ingredients. It lifts dirt and grime while calming inflamed skin and preventing future hot spots. Made in the USA. 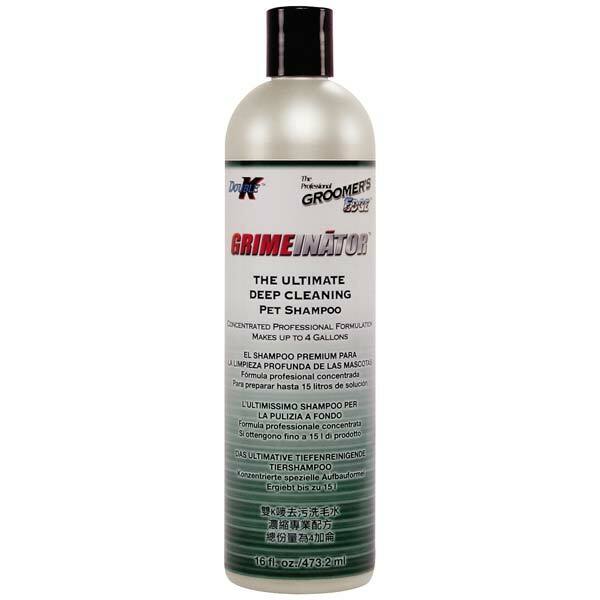 GRIMEINATOR DEEP CLEANING SHAMPOO 16 OZ: Get the dirt out with Grimeinator Shampoo for dogs. 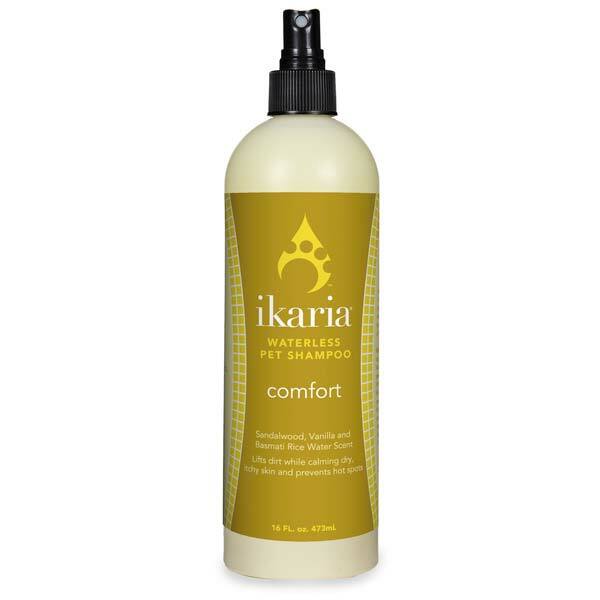 Remove even the toughest grime with this professional formula, deep-cleaning pet shampoo. 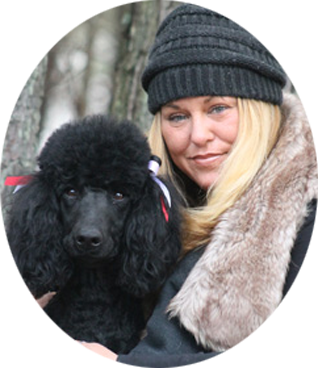 It leaves the coat soft, manageable, and lustrous. 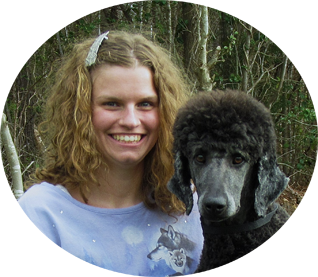 We recommend bathing your Standard Poodle no more than once a month unless it is necessary. 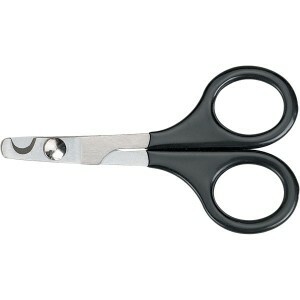 PUPPY NAIL CLIPPERS MEASURE 3 1/2″: They have a black vinyl-coated handle. These nail clippers have a comfortable and secure grip. 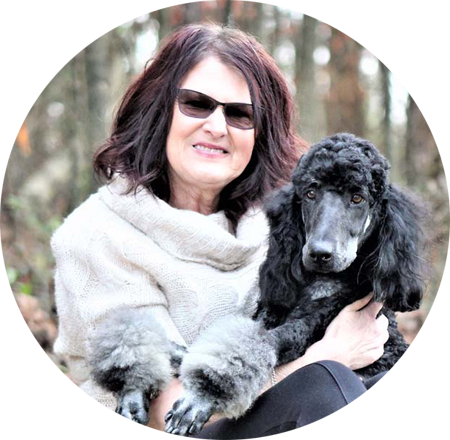 We use these nail clippers on our puppies until they are about 16 weeks and they are ideal for small dogs. 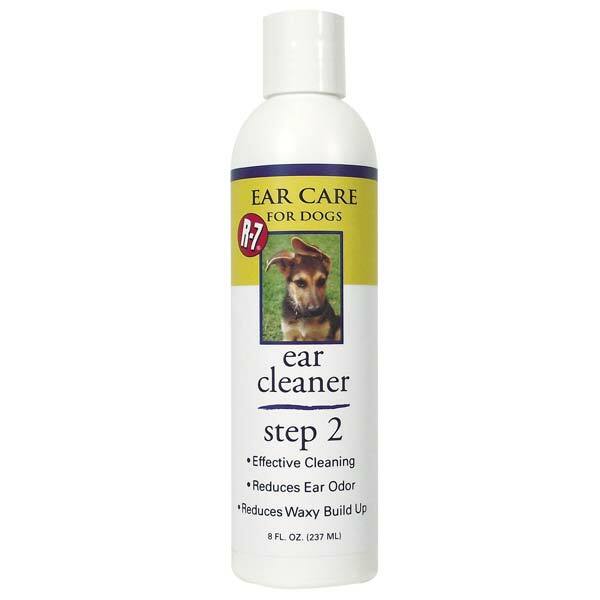 R7 EAR CARE CLEANER 16 OZ: This is a safe, fast, effective, and gentle for dogs & puppies. 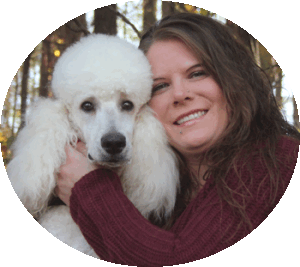 Use this ear cleaner as a grooming aid at least once a week clean your Standard Poodles ears. It helps keep the ears clean and reduce odor. BIL-JAC LIVER TREATS 10 OZ: These treats are small individual cubes with a very enticing smell. 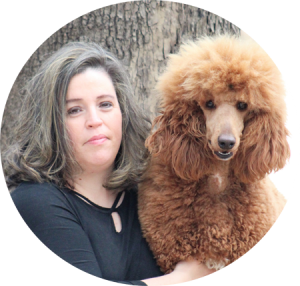 The small size allows for you to keep several cubes in your pocket at all times allowing you to reward your pet for simply coming to you when called during formal training session. 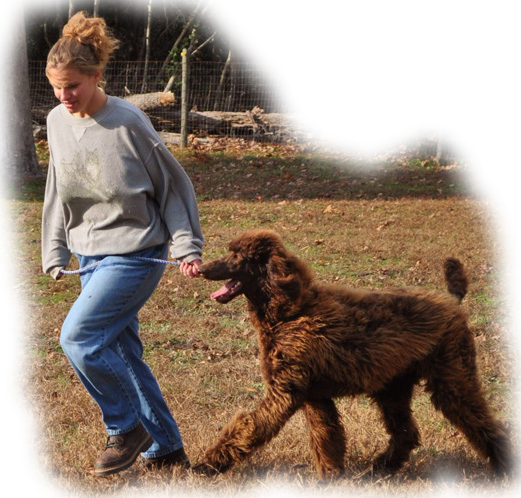 SLIP LEAD 6 ft: These leads are perfect for walking your puppy during transport. When we meet people with our personal delivery service we require they use one of these slip leads. 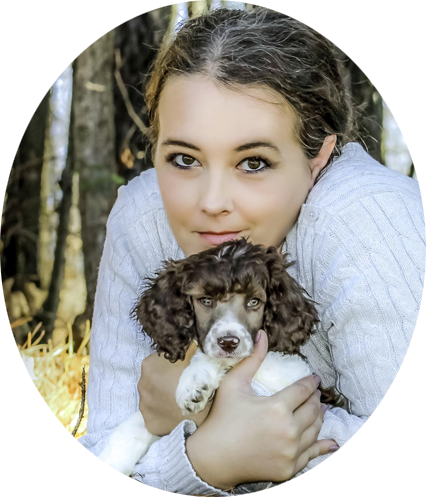 Puppies sometime get startled by new sounds or sights and will back out of a collar even though it seems to fit well. Then you have a tragedy on your hands a puppy loose in a strange place. 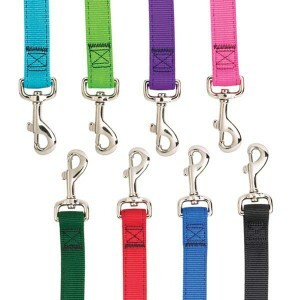 These leads tighten and keep the puppy from slipping away and assure he/she reaches their new home safely. NYLON ADJUSTABLE COLLAR 6-10’ x 3/8: These collars are made of high-quality, neon-bright nylon are standouts in both style and durability. They have bar-tacked stitching at stress points provides extra strength and a plastic, contoured, quick-release buckle. The collar matches your lead below. You will request your preferred color on the actual order form. 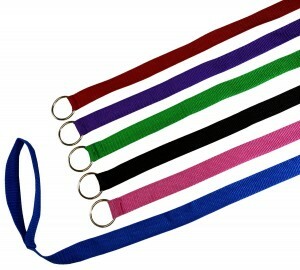 DOUBLE LAYER LEASHES 6’: These leads are from Guardian Gear® Nylon Dog Leads and make a Brite, bold fashion statement. Leads are made of high quality nylon with nickel-plated swivel clips and hardware to stand up to hard use. You will request your preferred color on the actual order form. 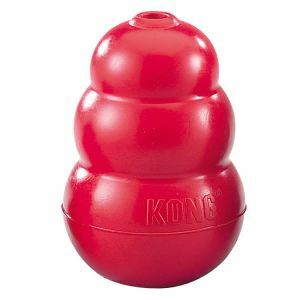 KONG PUPPY TOY 3”: Features the iconic shape for which KONG has long been known, and bounces around unpredictably. 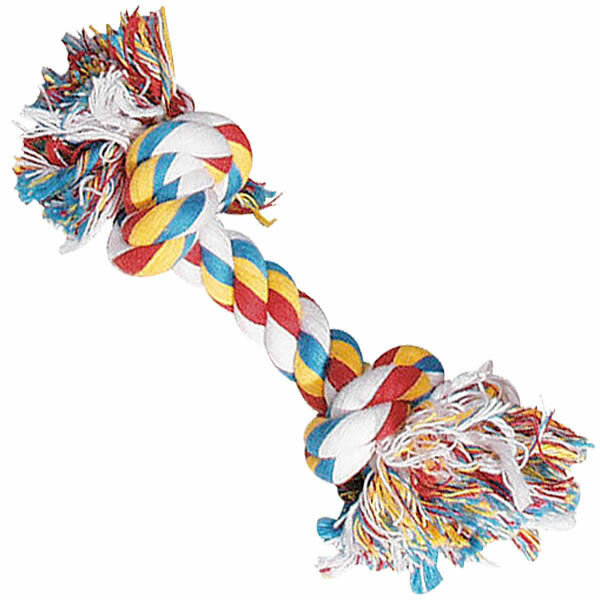 This toy is a favorite with pet healthcare professionals everywhere. You hide treats that we have listed below in this toy and keep your puppy busy trying to extract the treat for quite some time. KONG ZIGGIE PUPPY TREATS: These treats are specially designed to fit inside a corresponding-sized Kong toy. Stuff the Ziggies treat inside the Kong toy and watch pets romp and play for hours. They are highly digestible and help to freshen breath, which helps aid in maintaining good canine dental care. 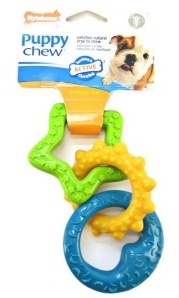 NYLABONE PUPPY TEETHING RINGS: Helps clean teeth and remove tartar. Discourages destructive chewing. Provides entertainment. NYLABONE PUPPY CHEW -PETITE– In Blue or Pink: Developing proper chewing habits is one of the best lessons your young pup can learn. Start them down the right path now with a chew they’ll love! These bones are made of softer materials for puppies. 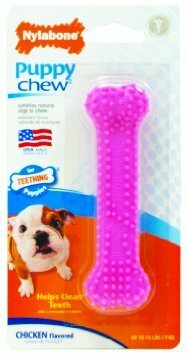 They help puppies develop proper chewing habits, grow strong teeth and jaws. 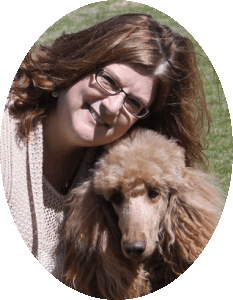 Textures assist with dental care by aiding in the removal of plaque and tartar. TOUGH BY NATURE HOL-EE ROLLERS RUBBER BALL 3 1/2″: These Hol-ee Rollers are high-quality rubber balls formed into a soft lattice-like structure that’s great to chew and grab. Insert treats inside to encourage play. They can be used with or without treats inside and colors may vary. 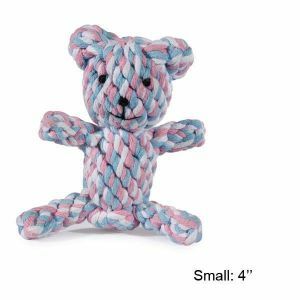 ZANIES® ROPE BEAR DOG TOY: The perfect playtime pals for small dogs and a unique twist on traditional rope toys. Made of rugged cotton rope in cute teddy bear shapes. Fun to grab, toss, and chew. ZANIES ROPE BONES TOYS 8 1/2“: These knotted rope bones are a great way to satisfy a dog’s urge to chew. 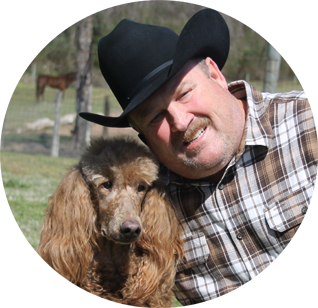 They’re tough and durable, plus they help keep dog’s teeth and gums clean and healthy. WATER DISH 32 OZ. 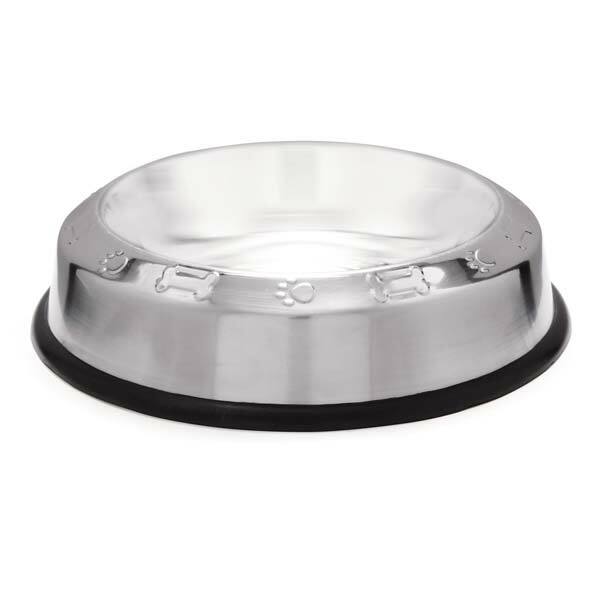 & FOOD DISH 32 OZ: This bowls have low sides for puppies but large enough capacity to use with your grown Standard Poodle. They have non slip and tip design. The design on the bowls is a pattern of bones and paws. 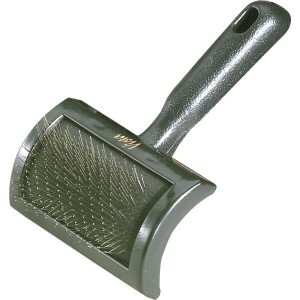 BLADE DEMATTING COMB 12″: This item is used to slice thru any matting, which then makes the matt easier to brush or comb out. If you scissor a matt out it leaves a gap in the coat. 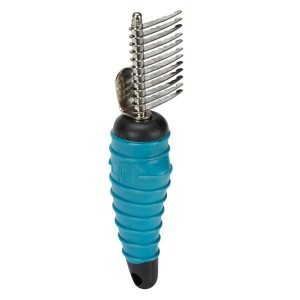 SLICKER BRUSH LARGE SIZE: This brush is used to separate the hair and make it easier to comb thru and fluff up. 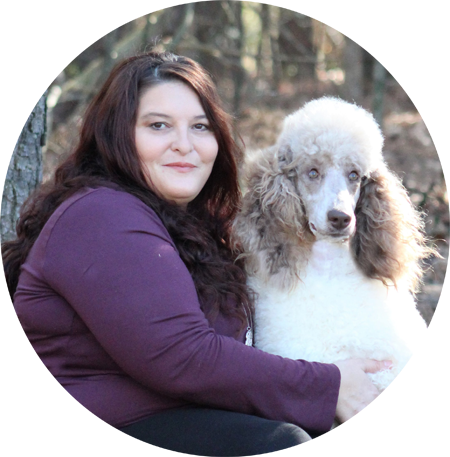 The dual level pins remove loose hair effectively for better results. MILLERS GREYHOUND STYLE COMB – 7.5 INCH – MED/COURSE: This comb is made of stainless steel and is Med/Course comb. 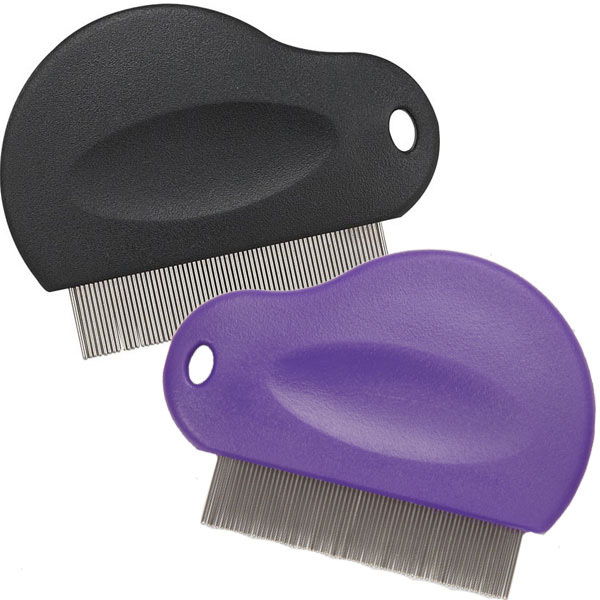 FLEA COMB: Contoured Grip is ergonomic and balanced to fit perfectly in the hand. This tool is used to remove dead fleas with ease and also great for gently removing eye matter. GRIMEINATOR DEEP CLEANING SHAMPOO 16 OZ: Get the dirt out with Grimeinator Shampoo. Remove even the toughest grime with this professional formula, deep-cleaning pet shampoo. 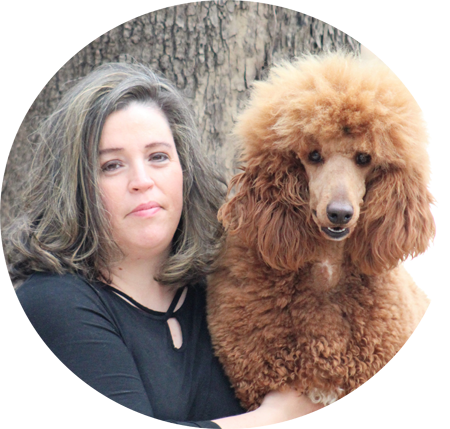 It leaves the coat soft, manageable, and lustrous. 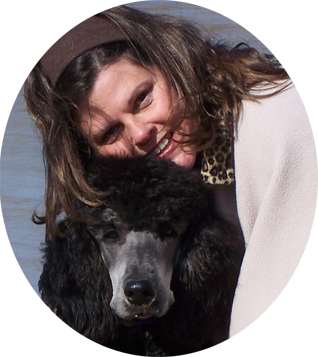 We recommend bathing your Standard Poodle no more than once a month unless it is necessary. When you do bathe please alternate between this dirt lifting shampoo and the more gentle oatmeal shampoo we have listed below. 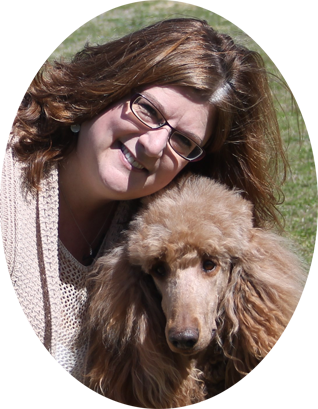 MIRACLE CARE R7 EYEWASH 4OZ: A favorite of groomers and breeders since 1961. Formulated to safely clean and remove stains and bacteria that can cause infection in and around the eye. 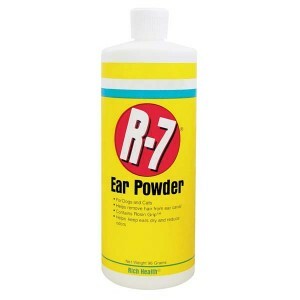 R-7 EAR CARE POWDER FOR DOGS 24 GRAMS: Ear powder is designed to keep ears dry and reduce ear odor. It is used when removing hair from the ear canals of dogs by puffing it into a clean ear. It Contains Rosin Grip. 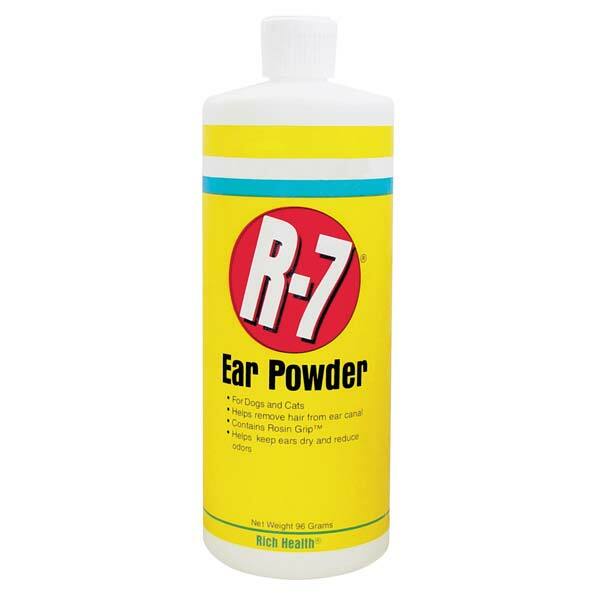 Use this to pluck the hair after you have done a thorough cleaning with R7 ear cleaner. 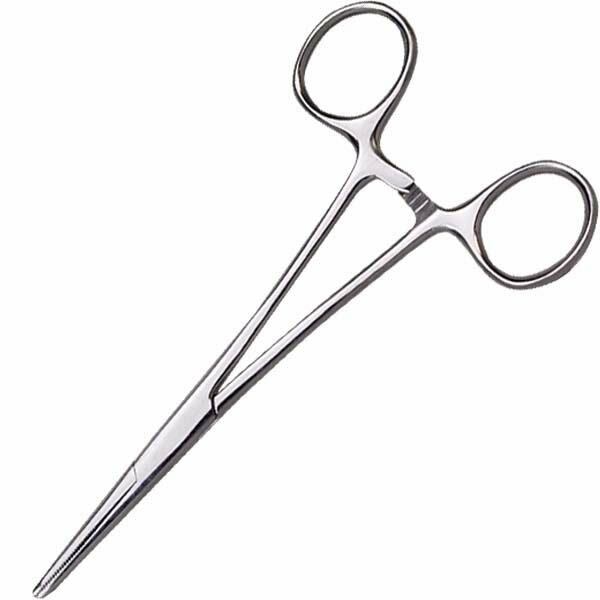 HEMOSTATS 5 1/2″L WITH A 1 1/4″L X 3/32″W NOSE: These stainless-steel straight hemostats allow you to remove excess hair from pets’ ears, which reduces the risk of infection. 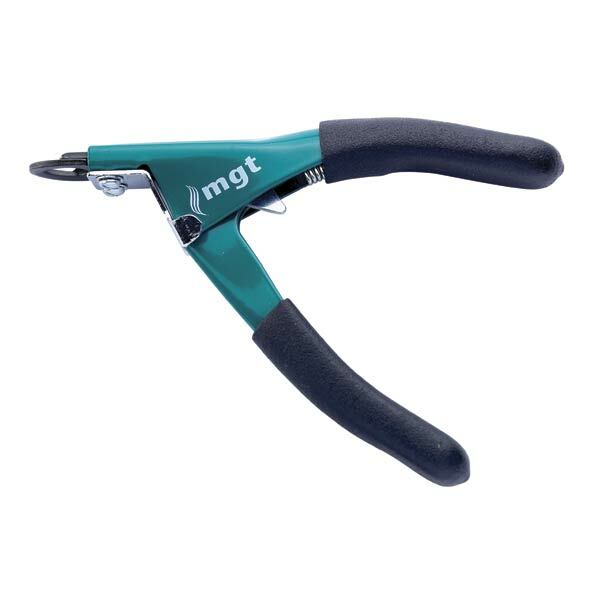 These hemostat hair pullers have a locking ratchet and serrated nose for better gripping. They are stainless steel and easy to disinfect. The serrated nose facilitates gripping. Use these after you have cleaned and added the ear powder. Ear powder gives you the grip. Once the ears have been cleaned and plucked clean them again. Use cotton balls and q-tips to help get in all the crevasses. 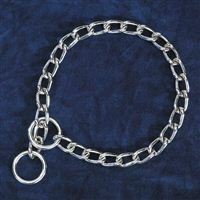 SLIP CHAIN COLLAR 18 IN. 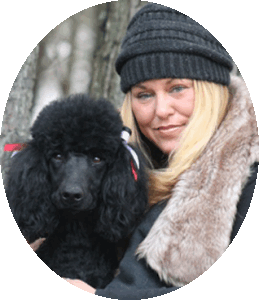 This collar has smooth, rounded edges for superior comfort, smooth operation, and safety—no sharp points or rough edges to chafe skin or snag fur. 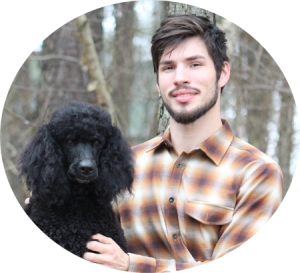 They are ruggedly constructed of electronically welded steel for strength. 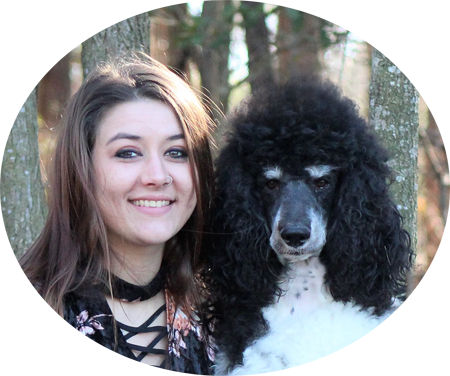 We use and HIGHLY recommend this collar for training purposes. 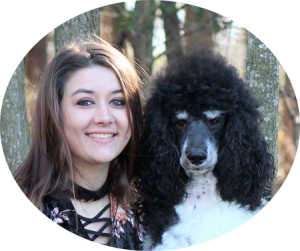 This collar is not cruel and you are not punishing your puppy or adult Standard Poodle if you use it. In just a few tries of running away the puppy learns if I don’t pull it does not get tight. You have done nothing, the puppy is being responsible for his or her on actions. 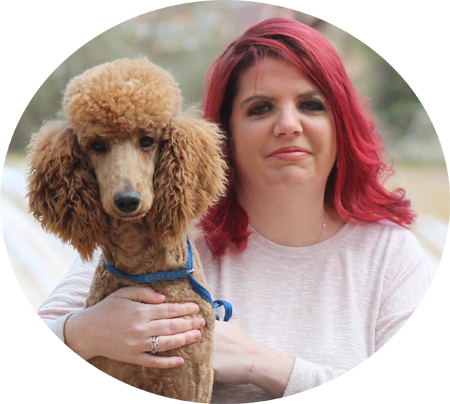 We do not recommend a harness for use on any puppy or adult dog because harness’s are used for pulling so it will allow your dog to pull without any consequences and not walk easily beside you. 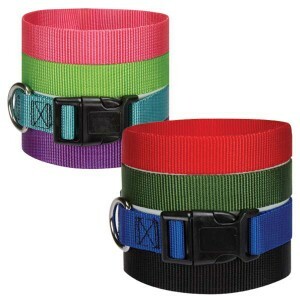 2-NYLON ADJUSTABLE COLLAR (14-20” x 3/4): These collars are made of high-quality, neon-bright nylon are standouts in both style and durability. They have bar-tacked stitching at stress points provides extra strength and a plastic, contoured, quick-release buckle. 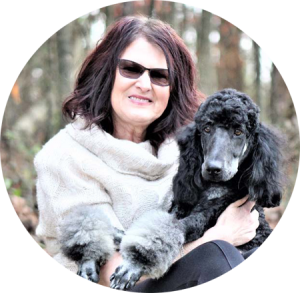 We suggest you buy both sizes so as your puppy grows you still have a collar that matches your lead that is available below. You will request your preferred color on the actual order form. 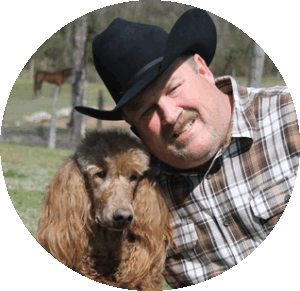 DOUBLE LAYER LEASHES 6’: These leads are from Guardian Gear and very strong, providing protection and firm control over even the biggest dogs. They have two layers of tough nylon stitched together and bar-tacked at the corners so they never wear out and all-metal hardware to stand up to hard use. You will request your preferred color on the actual order form. 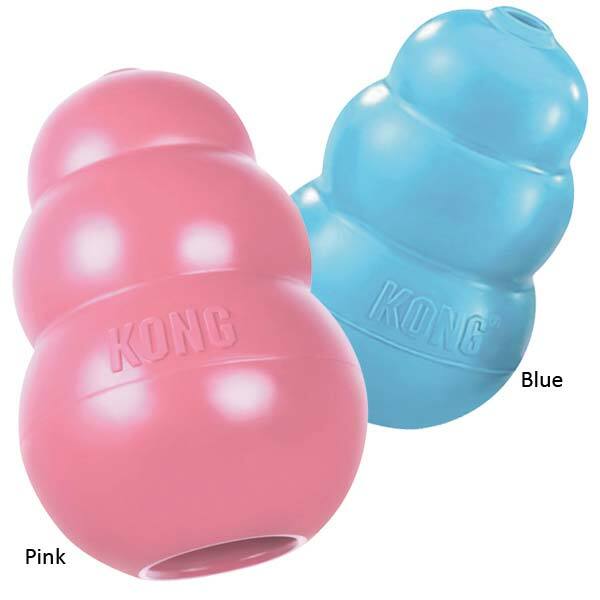 KONG HARD RUBBER TOY LARGE : This KONG® features the iconic shape for which KONG has long been known and bounces around unpredictably. 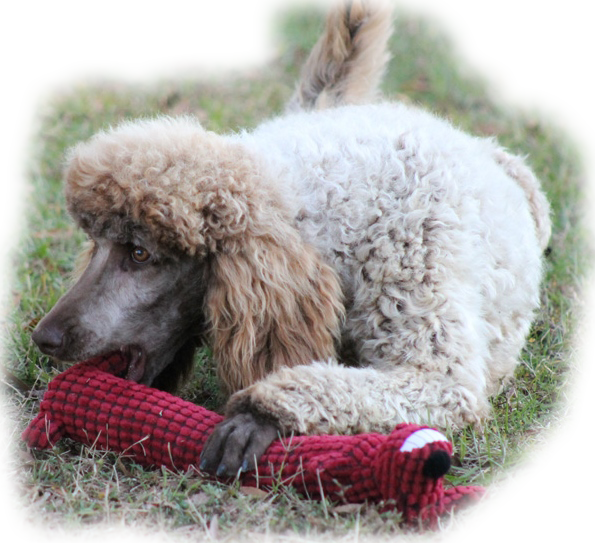 This toy is a favorite with pet healthcare professionals everywhere. You hide treats that we have listed below in this toy and keep your puppy busy trying to extract the treat for quite some time. 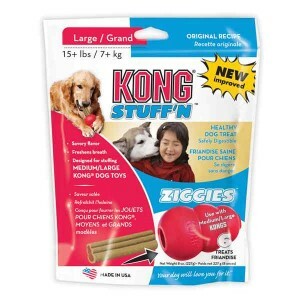 KONG ZIGGIE TREATS LARGE: These treats are specially designed to fit inside a corresponding-sized Kong toy. Stuff the Ziggies treat inside the Kong toy and watch pets romp and play for hours. They are highly digestible and help to freshen breath, which helps aid in maintaining good canine dental care. 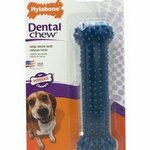 NYLABONE DENTAL CHEW AND FLEXI CHEW BONES 5 1/2″: Made from inert soft thermoplastic polymer, designed to satisfy the chewing instinct of moderate chewers. Bristles raised during chewing will help clean teeth and prevent tartar build up. 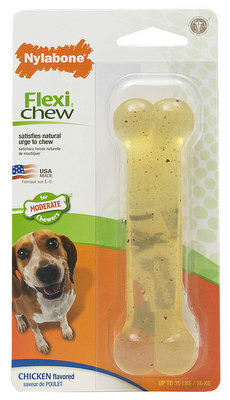 For Moderate Chewers. 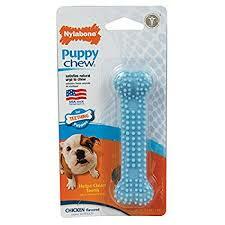 Nylabone Dental Chew is a flexible product specifically designed to help clean teeth and massage gums. 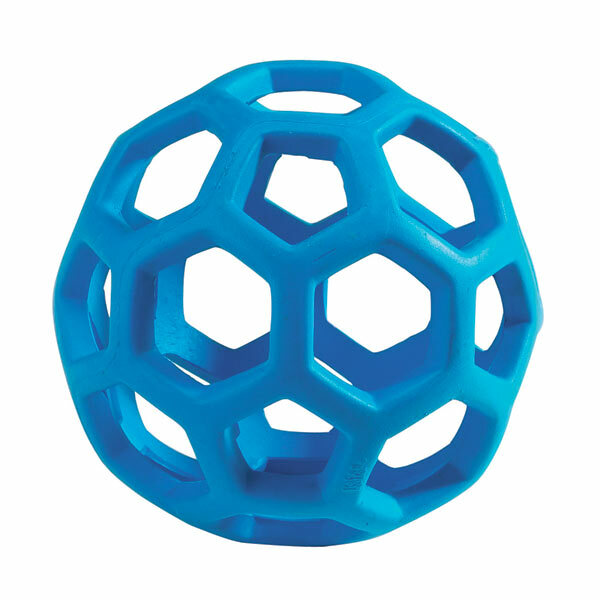 TOUGH BY NATURE HOL-EE ROLLERS RUBBER BALL 6½: These Hol-ee Rollers are high-quality rubber balls formed into a soft lattice-like structure that’s great to chew and grab. Insert treats inside to encourage play. They can be used with or without treats inside and colors may vary. 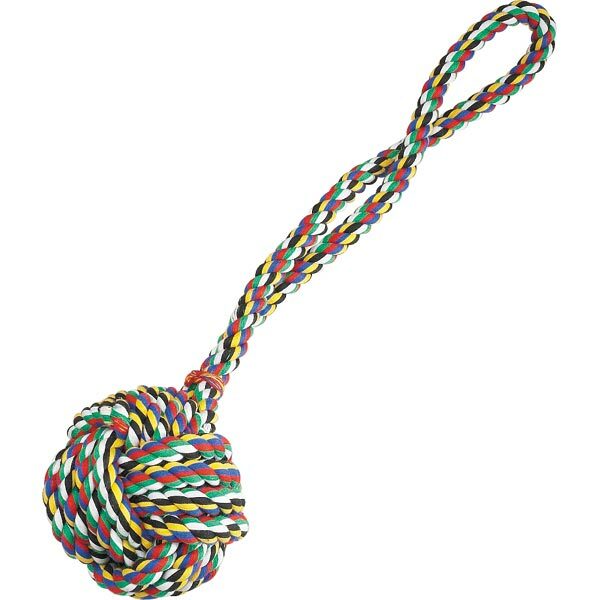 ZANIES MONKEY’S FIST KNOT ROPE TOY 15″ L & 2 3/4″ KNOT: These rope toys are great for tugging or throwing and also help keep dog’s teeth and gums clean and healthy. Ideal for aggressive chewers. These rope toys are constructed from tough cotton rope, knotted into a heavy sailors knot and attached to a long handle for tugging or throwing. They will really stand up to lots of abuse. 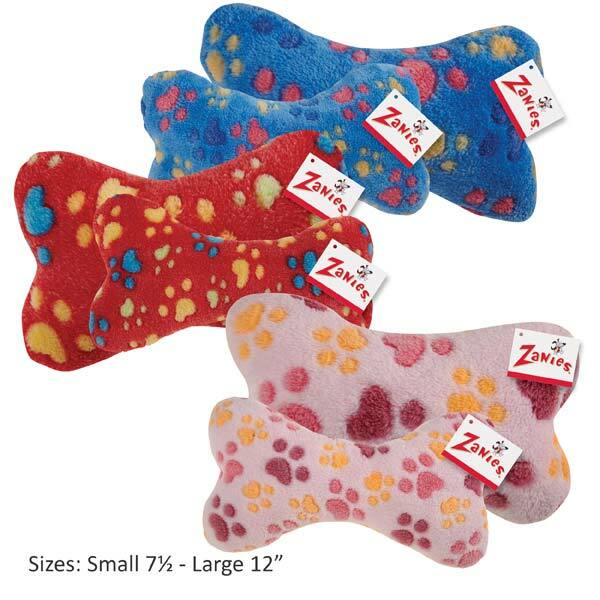 ZANIES RUFF N’ TUMBLE BONES DOG TOYS: These embossed plush bone toys are great for playtime fun. Responsive squeaker inside for added fun. Each plush bone has a paw print design. *Some items maybe slightly different or substituted for equal quality product based on availability.